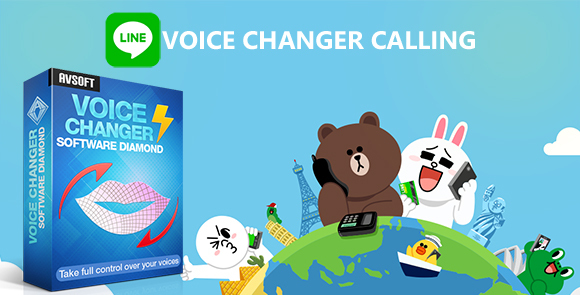 LINE voice changer is absolutely a fun software to chat and change your voice in real time for a perfect LINE call. 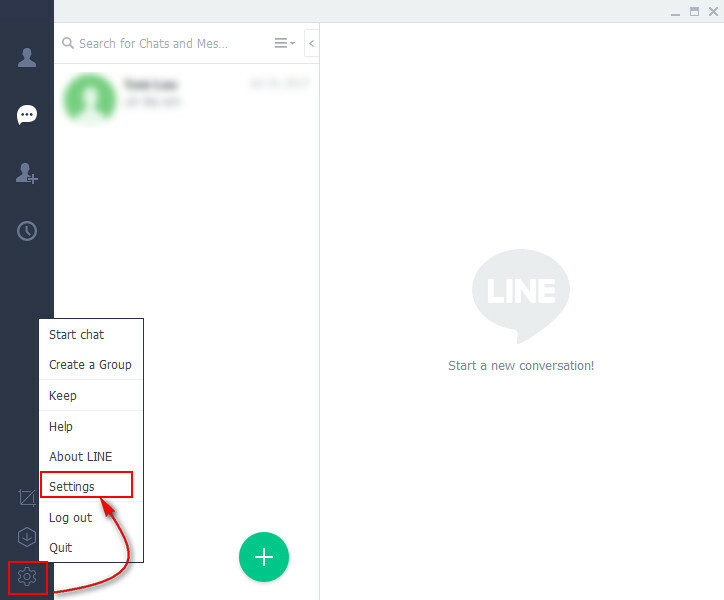 In this tutorial, Call Voice Changer will show you how to make a call in LINE, but in a fun way that anyone will be surprised "This is so cool". The software that we are going to use is called AV Voice Changer Software Diamond 9.5, and this one is currently considered as the best in market. 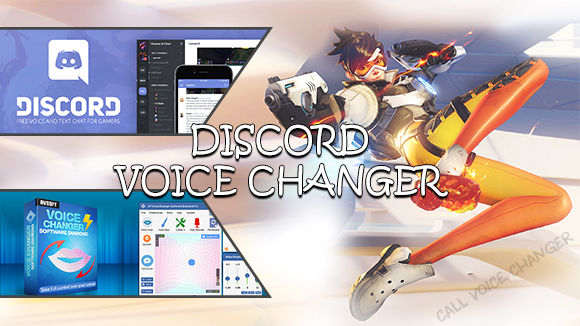 With this voice changer, you will be able to change your voice in real time, record your voice and edit it with effects, cut/split/mix pre-recorded audio files and convert them into various formats. It can be connected to LINE very easily and the Voice Morpher is just amazing for an Internet call. - Select the Settings icon on the left bottom. 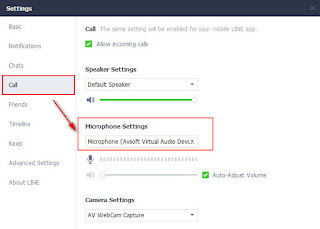 In this step, the only thing left to do is that: choose a voice settings you like in AV Voice Changer Software Diamond 9.5 and start a funny voice chat. 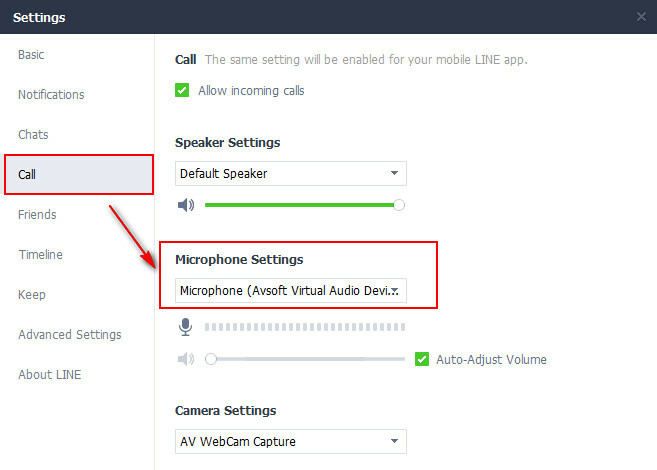 AV Voice changer Software can be used in many ways and in this tutorial, we will show you the two main ways to change voice in a LINE call, for a real time talk. To change your voice in one click, simply choose the built-in voice presets called "Nickvoices". 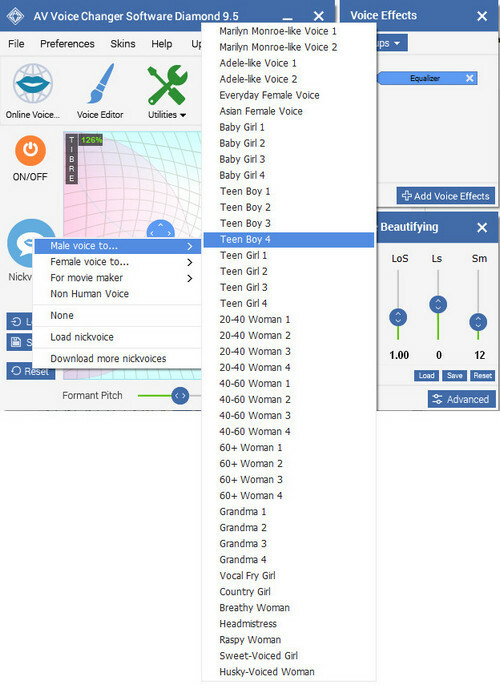 There are many ready-to-use presets such as: male to female, female to male, non-human voices, and movie making voices. With just one click, you will be able to change your voice to a preset you like, easily to change preset and most of all, effortless but effective for a real time talk. This method will be the most creative one to change your voice for a real time LINE talk. - Voice Morpher with Pitch-Timbre graph will help you change your age and gender. 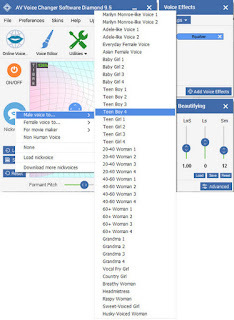 You can freely change your voice to sound like young boy, a sweet woman, grandma, even Morgan Freeman, Chipmunks, Darth Vader, etc. - Voice Effects with a huge library of voice effects, background effects, equalizer and many other useful effects. Just imagine telling your friends that you are in a traffic jam, the beach, bus station or many other places. Or you can put background music, animal voices to your talk. The possibilities are limitless. - Voice Beautifying will be a great tool to improve voice quality and even form an accent with different settings of human's formants. And now, when the magic has been applied to your voice, it's time to make a fantastic call to your friends and family. Have fun and enjoy.